Sometimes, holidays are not all about the destination; it is also about the journey. When on a holiday, we are all so focussed on reaching our destination that we forget enjoying the small beauties along the journey. And in the process, we often miss out on some remarkable experiences. When you are touring North Bengal, you are sure to have Darjeeling, Lamhatta, Jaldapara forests or Lava (either one or all of them) in your travel itinerary. And these places to visit in Dooars can be reached through some of these most beautiful roads of India. So, make sure you have your eyes open while sitting in the backseat of an outstation cab. You would encounter this scenic route travelling towards Lamhatta (a sleepy little hamlet near Darjeeling) from Siliguri. Once you cross the iconic Teesta Bridge, the Teesta River would start playing hide and seek with your cab, like a playful kid. Do not go click, click, click yet for there is much more to come! Our cab driver will halt the cab at the most scenic place, and you can spend a few minutes taking some nice pictures for your Facebook profile! Once done, board the cab and you would be taken to the Lover’s View Point. This point offers amazing view of Teesta and Rangeet confluence. It is a visual treat to see rivers of two distinct colours merge into one. In the remote horizon you can view the hills of Kalimpong and Sikkim. If you are travelling in summer, then care to stop by at the many roadside fruit stalls. Garden fresh peaches are available at cheapest rates here. Road conditions: Traffic becomes scarce after you cross Teesta bazar. Though the condition of the road is good overall, there are some sections between Sevok Coronation Bridge and Kalijhora, where you can anticipate a bumpy ride. Trivia: The white sandy delta on the confluence of Teesta and Rangeet is the starting point for white water rafting. Situated at an altitude of 4,000 ft., the tiny little hamlet of Mongpoo is famous for being the summer retreat of Nobel Laureate poet Rabindranath Tagore. 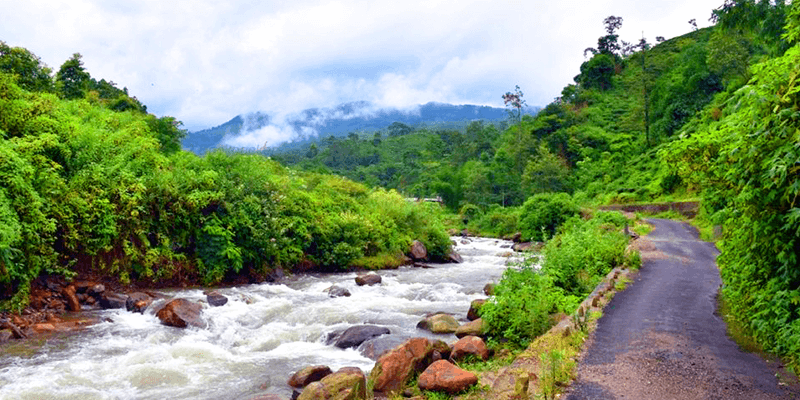 Mongpoo is situated some 54 KM away from Siliguri and the best route takes you through NH-10. On your way to Mongpoo you will cross the Lohapool (Iron Bridge) from where you can enter the scenic Rambhi village. Traversing a bit further you can come across Rambhi Jhora, where you will find a road moving uphill, this road will lead you to Mongpoo. As soon as you start an uphill drive you will come across the Cinchona plantations. While you are still admiring the beauty of these plantations, your sighting experience will be enhanced by the small streams that decide to race with you! No sooner than those streams disappear, you will find yourself in the beautiful Sittong village. This village is well known for its orange gardens and what’s more the gardeners are glad to entertain some guests. But before you get down from the cab, let our driver have a conversation with the gardeners. Our drivers are well conversant with the local dialect and they can persuade the gardeners for a trip without any problems! Road conditions: NH-10 route gets a little bumpy between Sevok Coronation Bridge and Kalijhora. But the road ahead is well maintained and smooth. Trivia: Cinchona plantations near Rambhi are the first of their kind in Eastern India. These plants are a native of the South American highlands. This is a major route for people travelling to Assam and other Northeast states from Bengal. The route takes you through the small towns like Oodlabari, Malbazar and Chalsa. Unlike other routes mentioned in this list, there are no scenic stretches here. All you see is beautiful! Soon after you cross the Coronation Bridge you encounter the beautiful delta formed by the Teesta River. Having feasted your eyes, get ready for some more experiences. 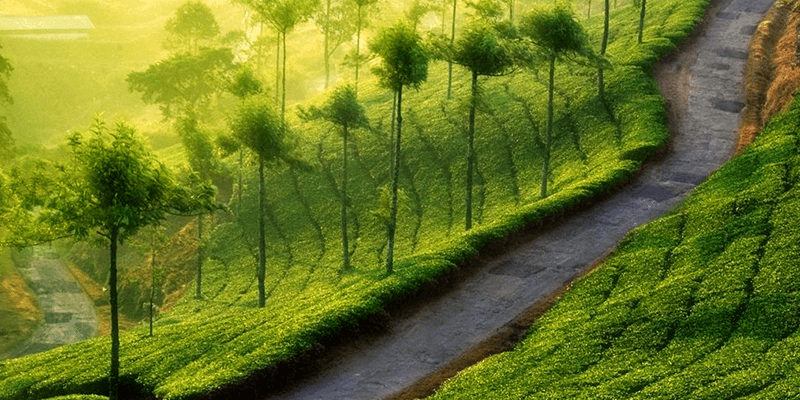 The road ahead will pass through some of the best Tea Gardens in the area. 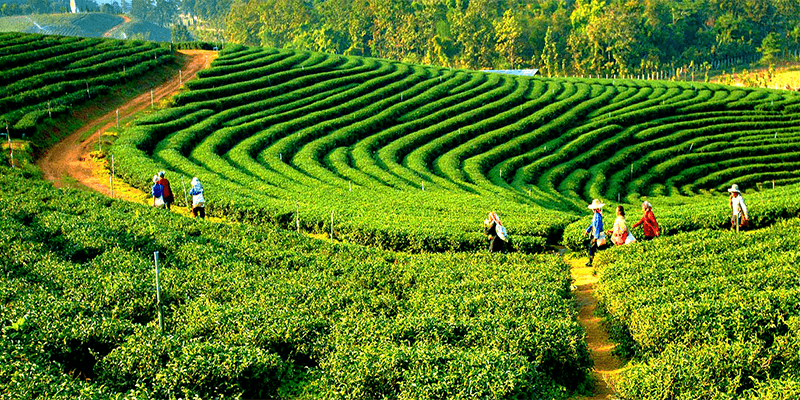 Our cab driver will definitely halt at the most scenic and reputed tea garden (allowing tourist entry). Apart from clicking some pictures inside a tea plantation, you can also buy premium quality Darjeeling tea (for half of the market prices) from the outlets. Further ahead, you will pass by many rivers with beautiful names (such as Leesh, Diana, Mateli, etc.) on one side, while on the other you can see the distant hills of Bhutan. But the most photogenic place along the route has to be the railway lines heading towards Assam. Road conditions: Most roads in this stretch are in excellent condition. Being a straight road, you can see miles ahead. The traffic is usually scarce, but may get congested as you approach a significant town. If you like the ambience and thrill of the jungles, then this is a must visit route for you. A long stretch of this route passes through the Gorumara National Park. Pardon the cab driver if he switches off the music system and opens the windows. He just wants you to have the best jungle experience. You do not need the sound system when you can hear the sweet song of the birds and you do not need an air conditioner when you can feel the fresh jungle breeze! Along the journey you will come across certain stretches where the forests are so deep that even sunlight cannot penetrate through them. In some other stretches you will encounter scenic rivulets passing through the forests. If you are really lucky you might see herd of elephants passing by. Road conditions: The road condition is superb and the traffic is sparse. Tip: There are a couple of elephant corridors along the road. 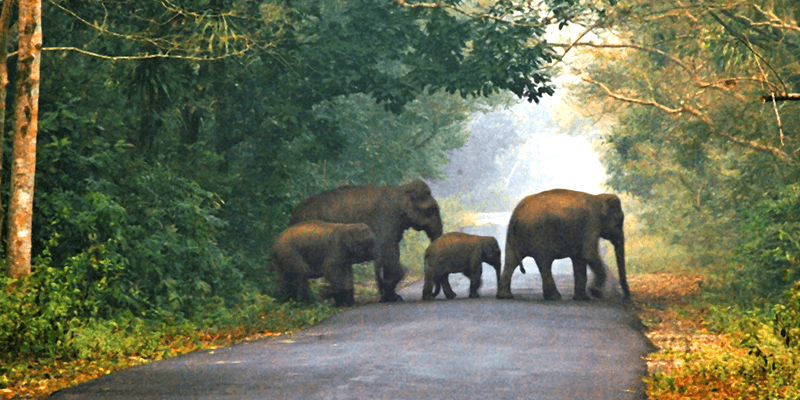 If you happen to see the herd of elephants blocking the road, do stop your vehicle well in advance and do not make any noise. Noise can distract the elephants, switch off your vehicles engine quickly. Lava is a must visit destination if you are in the vicinity of Kalimpong. But what makes your trip to Lava more enthralling is a ride through this picturesque route. The route is dotted with magnificent Pine trees, and the Pine forests get denser as you proceed towards Lava town. Some distance uphill and you will find the road covered in thick mist. 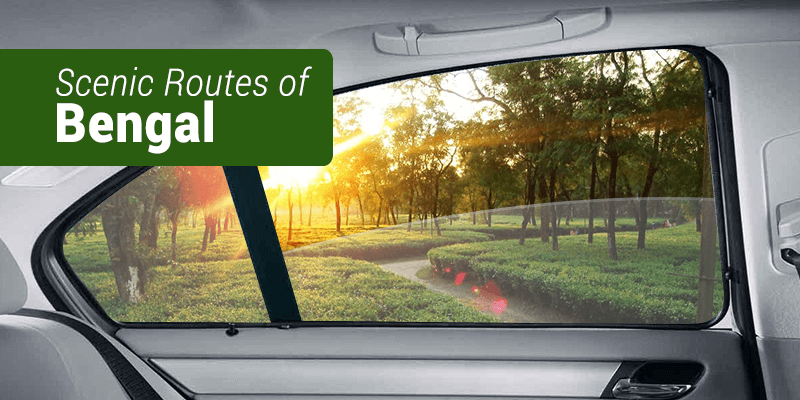 Our cab driver would help you enjoy this unique experience by opening the windows. You will feel like travelling through the clouds and feel the ice cold breeze on your face. Along the route our cab will halt at the revered Hanuman Temple or the Lava Monastery. When our cab driver offers to stop by at a roadside food stall, do not refuse. These food stalls offer lip-smacking momo and thupka. Road conditions: About 70% of the road is in good condition, but there are some stretches that have potholes. While the traffic remains moderate, you can expect some congestion near the major towns. 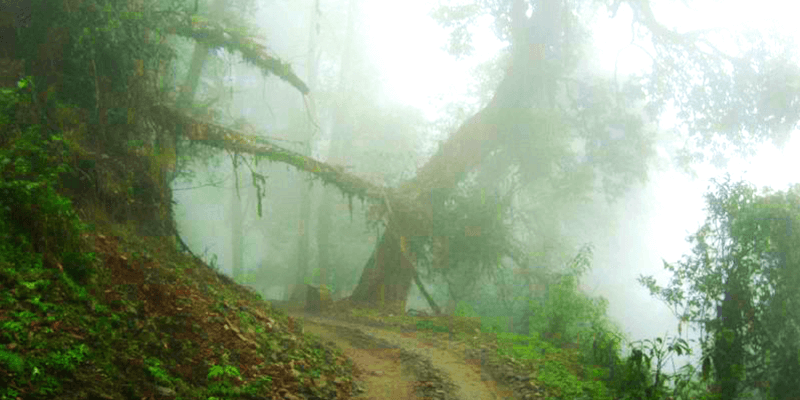 When you are on a North Bengal tour, you cannot miss out on these scenic routes. Maximize your travel opportunities by booking outstation cabs with RailYatri. Next articleThis Mother’s Day, let your Mom be that carefree kid! What is the best time to visit these places ? Good blog! Why don’t you do posts which load faster on Facebook?